Listed below are Furniture items for you to car boot sale online here that you will find available in London. If you cannot find the Furniture items that you are looking for in London you can add your wanted item to let sellers contact you if they have any Furniture items available for you. You can keep your contact information confidential. Enter only an email address in your car boot sale ad to receive offers into your account on our system. We will remind you automatically when new offers arrive for you. To offer your items for sale on this online car boot sale in London simply click Post free ads for Furniture link below or the button Post free ad in top right corner of this page. It is fast, easy and free to post an ad in 2lazy2boot. It will take you just few minutes to have the ad seen on our listings. You can then edit your ads any time by clicking “Member area" button on top right corner of this page. ARS Color (World's Leader in Colour Language)- Colour Reference Systems for Carpet Manufacturer & Home furnishing products. 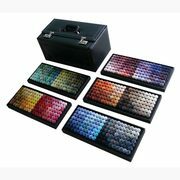 At present ARS Reference System has become the producer of the largest number of Colours in the world, with the presence of its users in 50 countries around the globe. ARS now has over 5551 Colours Customized reference system (Chromatone). Prl Furniture LTD was established in 2010. Beginning with the production of kitchen and living room furniture to the size of individual projects of our customers. Thanks to our customers' trust and gained experience in the furniture industry, in 2013 it was opened. 490 m2 Furniture Living room, and an online shop with a wide range of furniture imported from Poland characterized by solid workmanship and interesting design. Interior design is the art and science of enhancing the interiors, sometimes together exterior, of a space or building, to achieve a healthier and more aesthetically pleasing environment for the end user. An interior designer has plans, researches, coordinates and manages projects. Interior design is the process of shaping the experience of interior space, through the manipulation of spatial volume as well as surface treatment for the betterment of human functionality. The modern office looks fairly different to the stuffy workspaces of old – gone are the days of having to trudge into choked cubicles and cornered-off workspaces that inspire little other than low morale and poor productivity – contemporary office design is all about bringing everything out into the open, and the use of office partitions – particularly in the form of glass partition walls – is becoming increasingly popular in office spaces and contact centres alike. At GXI Group unikglass has been designed to replace any kind of conventional hinged door with a sliding glass panel to divide rooms in residential, commercial or hotel projects. It is compact system for a modern and minimalist design glass partition walls. Clear opening free of floor tracks. For 8, 10 or 12 mm glass and up to 100kg. GXI Group specialists for office space planning, office and glass partitions, office fit out and refurbishment, office design; we are a commercial interior design services create in London. Our office fit out and office refurbishment London services are focused on landlord led schemes to enhance and refresh property to satisfy current market trends. GXI Group offers London based Office Builders services and providing office interior design, glass & office partitions, office fit out & refurbishment, IT, telephone and mechanical services, Warehouse Mezzanines and Refurbishment through UK. Our office builders are a London-based services and offering office fit out & refurbishments and throughout UK. GXI Group offers LuxMat Laquee glass combines the finest acid-etched satin on one of its sides with the intense colour of highly-resistant, hardwearing lacquer on the other. In terms of colour, some reflections are undesirable. That’s why LuxMat Laquee allows the clearest vision of colours, bringing to life its true tones and enhancing its true intensity. At GXI Group specialist office fit out & Office Refurbishment that operate in London and throughout the rest of the UK. Our team of experienced office relocation and refurbishment services are here to support you throughout your decision-making process and aim to provide the best expert knowledge and advice. Product: Roll glass Family: Roll glass Glass Partition Walls has been designed for separating rooms by a glass wall combining fixed and sliding panels. It is compact system for a modern and minimalist design. We are single profile combining both fixed and sliding panels for optimum hermetic sealing and more straightforward installation. GXI Group’s are specialists for office fit out, office space planning, office refurbishment, office & Glass Partitions, office design; we are a commercial interior design services at London. This is a large decision and it requires due care and interest. You need a strong but calm and reasoned project leader and a project team comprising all key departments. GXI Group, specialists and provide a full office interiors, partitions, fit out and refurbishment services as design and conception through to completion and handover. Our office fit out and office refurbishments we have a very simple way of life which is to exceed our customers’ expectations every time. GXI Group, Office Builders are a full office refurbishment builder services based in London and provide commercial interior construction and office design services. We also provide professional office design, office refurbishment and office renovation services. 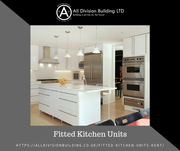 We are London based office builders and we provide Office Design, office interiors, furniture, partitions, fit out & refurbishment and IT, telephone and mechanical services. GXI Group, specialise in office design, office fit out, office refurbishment and office relocation and create world class workplace environments for occupiers in London. We are creative office design, Office Fit Out and office refurbishment professional based in London. A commercial office fit out and refurbishment service includes partitioning, ceiling installations, bespoke office furniture and electrical cabling. Well here you go. Good luck with your on line car boot sale in London. We hope you have some success and find buyers/sellers that you are looking for in Furniture . Don’ t forget to comment any successes in selling your Furniture items in London to our valuation window and report forum! We are sure you will find many people in London looking for your Furniture. London car boot sale. Furniture for sale ads on online car boot sale in London, second hand Furniture for sale in London, Furniture ads for free in London, 2lazy2boot - London car boot fairs.